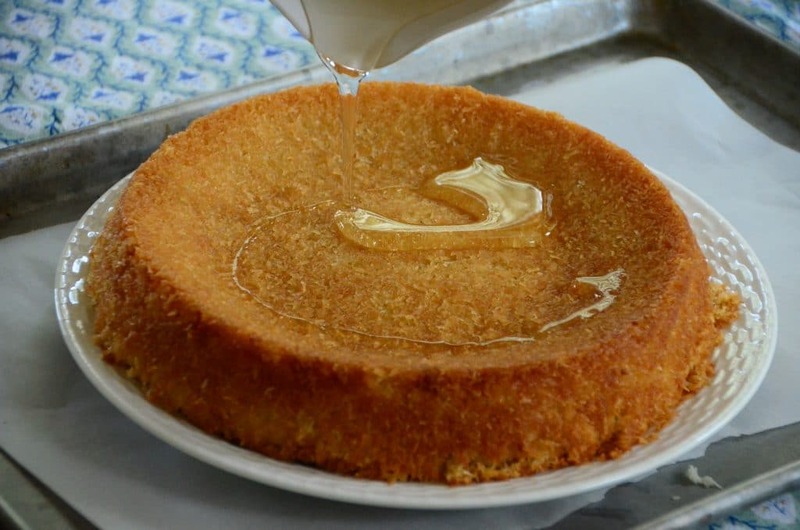 One of the greatest of all Lebanese pastries is knafeh jibneh with orange blossom syrup. Knafeh is shredded phyllo dough (find it in Middle Eastern markets) which is filled here with a wonderful cheese blend for a melty, salty-sweet (mostly sweet . . . ) pastry. The Lebanese eat knafeh traditionally for breakfast in a pocket of sesame ka’ik bread. Hearty! The knafeh was the saving grace that morning. 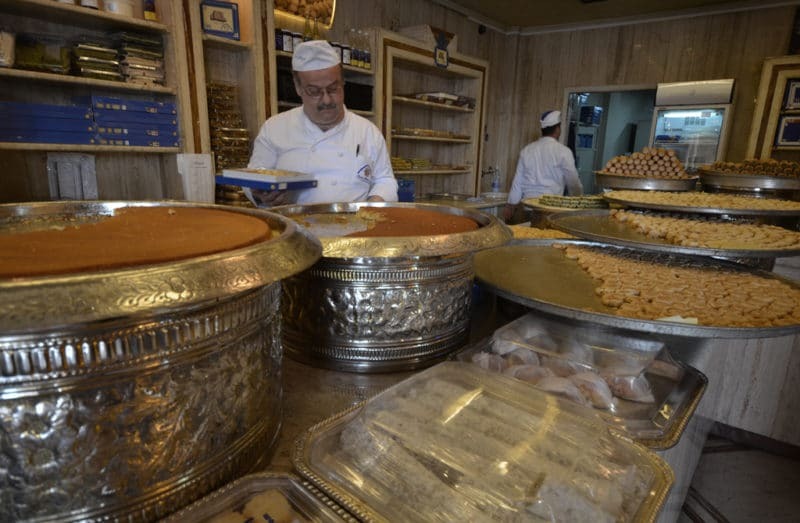 We were driving from Beirut to Tripoli on a quest, my quest, to see the famous Hallab bakery at its source. 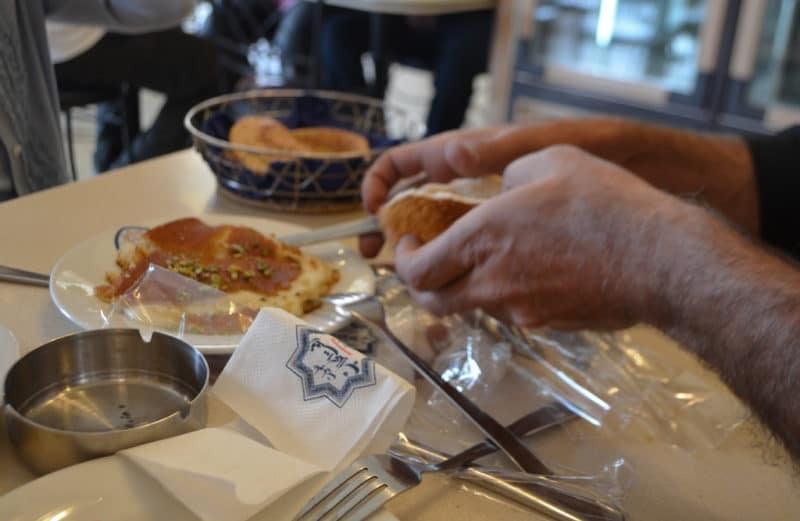 There had been the friendly assistance of a Lebanese chef in the U.S., who was connecting me with the owners of Hallab in hopes of a tour of the back of the house where all of the pastry is made. The machinations were comical, with someone at the hotel, the Four Seasons Beirut where we were staying, making all of the phone calls for me in Arabic. It seems I had stepped into some kind of family feud, because when we finally got a hold of the king pin to secure the tour with his cousin at the shop in Tripoli, he denied knowing anyone by that name at all. We went for it anyway, the ride north to Tripoli, to see what we could see. There was a detour to deal with a camera glitch (of the sort with which I am all too familiar), plus Beirut traffic, and then finally our arrival in Tripoli. What we saw of the city upon entering it did not excite, and our driver, Hitham (HIGH-sum), was not in familiar territory. He was one cool cat as a rule, but I think I saw him break a sweat navigating Tripoli’s traffic jams. Once inside the bakery, there was no holding back on our table full of treats. I was dead-set on the knafeh jibneh, a royal display in a huge flat platter looking like a golden cake which when cut, revealed its melting, gooey cheese filling. I’d first tasted the knafeh at Al Khyam bakery in Chicago years ago, where I had gone to interview George, the owner, about his shop and especially his thin pita-making method. His trademark Lebanese hospitality that morning included a small plate of knafeh, which he cut for me from one of those gigantic platters and poured a healthy glug of orange blossom syrup over top. It was rich, but in the most unobtrusive way. Before I knew it my little plate of knafeh was gone and I was accepting another, against my better judgment. At Hallab, Hitham joined us at the table for our morning indulgence, and he ate his knafeh with such gusto that I found this more instructive than any tour of the bakery might have been. 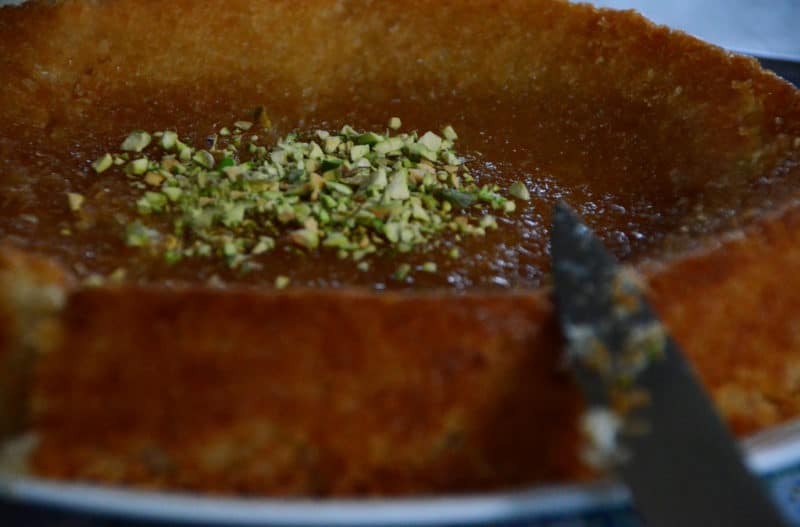 He placed his knafeh into the sesame bread that came in a little basket alongside (a version of ka’ik) and rolled his eyes closed while he ate one mouth-watering bite after another. I followed suit. When he finished, he pulled out his cigarette and smoked one as though he was spent on more than just a plate of knafeh. There I did not follow suit, but understood his response to knafeh that good. When I reminded my mother and sister about the knafeh we had that morning in Tripoli, they both shrugged it off. Not so much, Peg said when I raved about how good it was. Her memory was more for the sumptuous boxes of chocolates we bought there as gifts for our Lebanese cousins, and for the crazy streets of Tripoli. 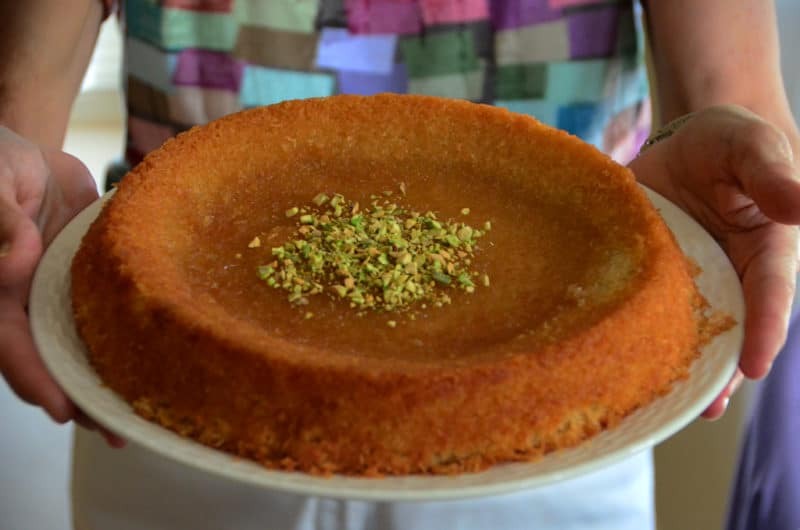 My mom’s experience with knafeh is more like baklawa, with a nut filling in little nests, still with orange blossom syrup (we’ll make that version sometime too). The knafeh combination, granted, is unusual—like a cheesecake, but not—a buttery phyllo crust filled with unsweetened (and if it’s mine, slightly salty) cheese, and all of it topped with the orange blossom syrup. Knafeh makes for a hard-hitting breakfast that would take most of us all the way through to dinner, or breakfast tomorrow; I suspect many would prefer it for dessert or a snack. But I’m with Hitham on this: knafeh jibneh earns its place as an object of affection among the cognoscenti. It gives us a rich, satiating, and indulgent experience, and if it’s your thing (which it is still, astonishingly for many in Lebanon), one worth following up with a smoke. There are several different ways knafeh with cheese is made (just as there are so many spellings: kanafeh, kenafeh, kunafeh, kataifi...). This recipe, based on one from DeDe Med, is most similar to the knafeh I’ve had at bakeries in Lebanon, with a finely-textured crust and melting cheese layer which is best eaten warm. The cheese layer is sometimes made from ricotta, the cheese by itself without milk or farina, or with sweet cream rather than cheese. Traditionally the knafeh is eaten for breakfast or a snack, and is often tucked into a version of ka’ik that is a savory sesame bread. 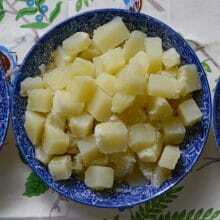 Ackawi cheese is a white, firm Arabic cheese that can be found in Middle Eastern markets. An equally good substitute is fresh mozzarella. 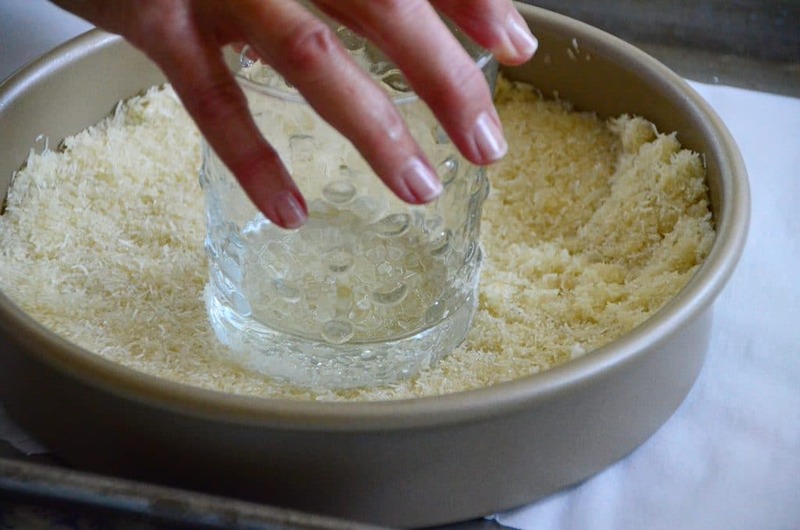 If the cheese tastes very salty, slice it and soak it in water for a couple of hours to remove some of the salt. I like my cheese for knafeh to have a little salt flavor, though, so that the knafeh has a bit of wonderful salty-sweetness to it. To make the orange blossom syrup, in a small heavy saucepan, combine sugar, water and lemon juice and bring to a boil over medium high heat. Reduce heat to low and simmer for 5 minutes. Add the orange blossom water, pour into a heatproof container, cool to room temperature and refrigerate to chill. Preheat the oven to 400 degrees with a rack in the middle position. In the food processor, pulse the shredded phyllo dough for about a minute to make it into a fine meal. Place the phyllo in a medium bowl with the breadcrumbs. Add the melted butter and ½ cup of orange blossom syrup and stir until the phyllo is completely coated. In a 10-inch pie plate or cake pan (or a similar sized sheet pan), add the buttery dough mixture. Compress it very well by pushing it into the bottom of the pan firmly, first with your hands, then pressing with the flat bottom of a cup, or something similar. If the cheese is too salty, slice and soak it in cold water until some of the salt is pulled out. Change the water every 10 minutes or so. Either with a large, sharp knife or in the food processor, chop the cheese to a fine dice (in the processor, pulse until the cheese looks like coarse meal). Place the cheese in a medium bowl. In a medium heavy saucepan, heat the milk over medium-high heat until it is hot, but not boiling. Add the farina and cook for 2 minutes, stirring constantly, until the mixture is slightly thickened. Pour the farina over the cheese and stir to combine. Pour the cheese mixture over the knafeh dough in the prepared pan, and smooth the top. Place in the oven and bake for 30-40 minutes, or until the knafeh is deep golden brown. Remove from the oven and cool for 15 minutes. Turn the knafeh out onto a platter and drizzle with ¼ cup of orange blossom syrup. Garnish with pistachio nuts. Serve immediately or set aside and reheat before serving. 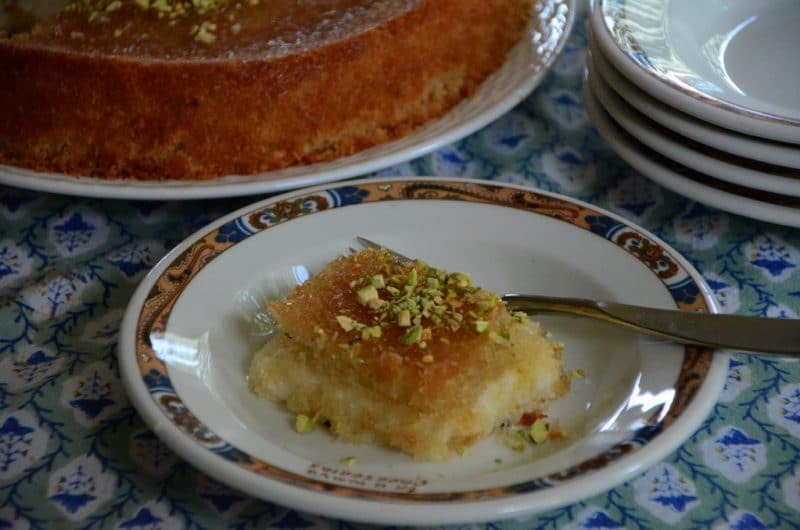 Cut into squares or slices and serve the knafeh warm, with more orange blossom syrup poured over each piece. 42 Responses to "Lebanese Knafeh Jibneh with Orange Blossom Syrup"
it reminds me of a tour of all the knefeh eateries in my ‘hood, in beirut, with an iraqi friend until we finally landed at a good one in front of the sea next to the mosque; unfortunately now this place is gone and replaced by..Starbucks! 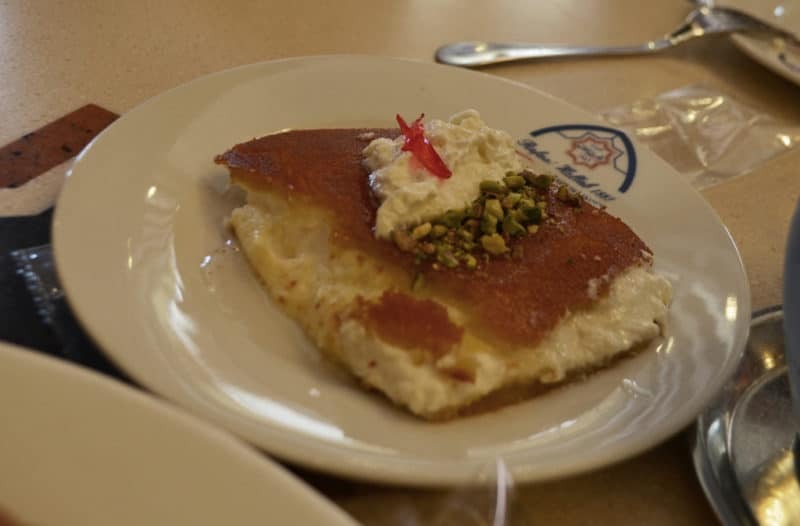 \good news is `hallab has an outlet in Beirut and the knefeh is still the best. most home cooks here `i asked make it at home with kaak or breadcrumbs or buy the fark (semolina dough) from a pastry shop and the cheese already unsalted; i did it once. love your clics. Thank you Joumana–how lucky you are to get Hallab whenever you want it! Maureen this post makes me drool!! My late Mother in Law use to make this and I still remember the first time I tried it over 10 years ago now. The taste lingers on…. Great memory Lisa! Thanks for sharing! Hi Saleem–I will work on that; I had it in Lebanon but have not made it at home (YET!). Maureen, I love your pictures, writing, recipe… I had knaffe in Lebanon many times over the years and always ate it for breakfast. It was magical… there is no equivalent that Americans can relate it to, not really. This type of dish would be considered a dessert but is really perfect to consume first thing in the morning, with strong Turkish coffee or even tea… I believe this was my favorite culinary experience in Lebanon, and I’m not sure why, but maybe it is the perfect balance of sweet, cheese, crunchy, and hot… how I wish I could find some where I live now in San Francisco. Thanks for your beautifully written article and for all the juicy details you provide about your journey through Lebanon, which really makes the mind picture everything, like a beautiful tasty movie experience! That’s beautiful Sarah, and you’ve put it so well, that this is perfect breakfast food! Thanks so very much. I work in SF, Good Frikin Chicken on Mission St. sells good shawarmas and great knafeh! Hope you enjoy! Great tip! Thanks very much! Hello! Thanks so much, and warm regards to my classmate Margaret Curtain from Waverly (and you too!)! Great question, thank you–that’s 16 ounces of mozzarella. I hope you do make it and love it as much as I do! I would love to try this recipe. Is there any way you could do a metric conversion? Also is there an alternative to farina? We don’t have farina in Australia. Hi Maureen! When we visit my in-laws in Ottawa, there is always an early trip to the bakery to pick up kanafe. It’s our traditional farewell breakfast. Your recipe inspired me to surprise them when they were visiting U.S. since we have no place local to buy. I was all set to make this version but then I looked at your book and noticed the recipes were a bit different. I made the version in the book to rave reviews. Thank you!! I’m curious though as to why the recipes are different. Hi there! Thanks for your comment! I published this recipe some time ago here on my blog, and then when I wrote my cookbook I redeveloped the recipe and tweaked it a bit. Both recipes are excellent, though! So glad you enjoyed it! 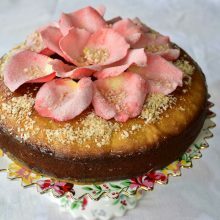 I was looking for a Middle Eastern dessert and our mutual friend Suzy (The Mediterranean Dish) sent me over to your blog. Love it. Just came back from my first trip to Beirut and have been craving Knafeh ever since! Going to try to make it for my girlfriends this weekend. Thanks for the recipe. It’s just so delicious! Hope you enjoyed every bite! Hello Half-Syrian Clare! The akawi cheese will last at least two weeks, and much longer, in the refrigerator. You will be fine to make this for your dinner party. 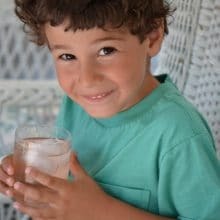 Interesting question about freezing knafeh. I’m not sure how that would go for the texture, so best to bake it when you’re ready to serve it. Sounds like a great finish to your party! Thank you so much for sharing!!! I live in the SE Michigan area, and am fortunate to have middle eastern markets, bakeries, etc. all near me! I love the food, the culture, and most importantly–the people! Every time I visit Greenland Market, I end up chatting with fellow women about recipes. Yesterday, I made my first stop at Lebon Sweets! I tried Knafeh, and was served it on a warm sesame-seed bowl-type piece of bread. It was unbelievable! It was quite filling, so next time I would have to split it with my husband or neighbors, as I could not eat the whole thing. I’m super excited to try your recipe, Maureen! Taste-wise, how would you say it compares to local Michigan-based middle eastern places? I’m curious to hear your input. I would love to hear any stories about your favorite Michigan Lebanese stores! I never heard of this until this week, my son sent me a recipe and said..make this! The recipe I have calls for ricotta, so that’s what I bought. I grew up with a Lebanese grandmother and don’t think I’ve ever had this. What do you think about the ricotta instead of Mozzarella ? It also said to use a “sweet cheese” That was Lebanese. Looked more like a solid cheese. Thank you. Hi–thanks so much for this question. I think the mozzarella is the better way to go with the knafeh, as it creates a gooey chewiness that would be missing with ricotta. 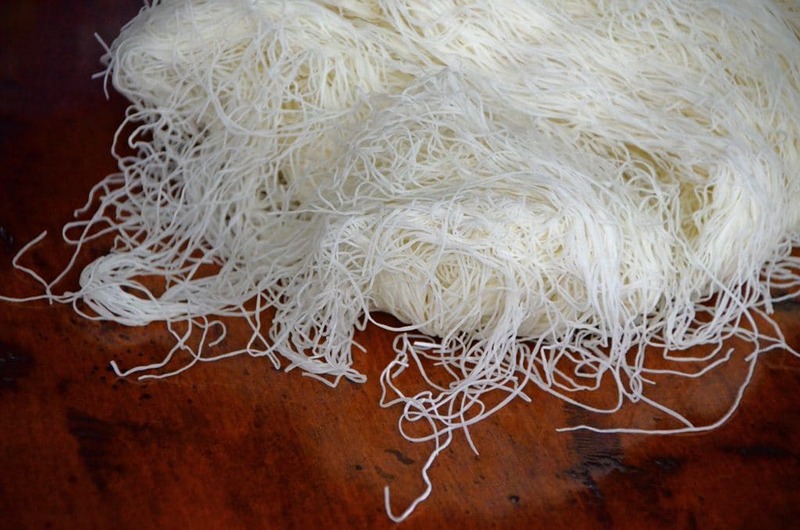 The Lebanese cheese used in knafeh is “ackawi” which is not as easy to find. It is very salty and would benefit from a little soak to remove some of the salt. But a totally salt-free cheese, which is traditional for this dish, is not as good in my opinion as having some salt to the cheese. Mozzarella works delightfully! 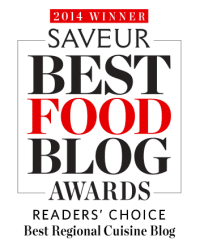 Thank you so much for the great blog and the recipes. I have made few things from your recipes and all are working wonderful! I would like to add some pics from the Knafe I made today for the Palm day! I would reheat in its original pan, Joanne. Great question! Hello,I was wondering how can I make the syrup with less calorie for people following a diet on low sugar and low fat. Lovely post about something near and dear! Knafe has always been a Tawil family favorite for breakfast. After my father found out he had celiac sprue, he devised an ingenious way to make knafe gluten free with cream of rice and then cheese and atar syrup as usual. So many ways to make knafe (and all of its cousins, like osmalleya) but always delicious any way you cut it! As always, your posts warm the heart. Tania, thank you for that. I’m fascinated about your dad’s gluten-free knafeh! I’d love to know more about how he did it with the cream of rice. Hello, Im gonna try this soon, but i live in egypt and I’m not sure if i will find Farina here, I’ve never seen it in the supermarkets here before. Is there anything that i can substitute it with? Yomna, look for Cream of Wheat cereal. You could also substitute polenta. I am making this now and got to the breadcrumbs and pastry part. I measured everything to a tea but it looks really wet.. not like your picture. Any suggestions to why this is and how to fix this next time ? Hi Nat–hmmm, it’s hard to say without knowing exactly what you had in front of you. Was it wet even after baking? Hi Maureen I think I figured out what happened. My butter was still hot from melting it and once it got cooler the mixture turned out great. The knafeh was amazing and everyone enjoyed it. I will be making this time and time again. Thank you for a perfect recipe ! !